This past weekend I visited Trinidad where I stayed at the Hyatt Regency Trinidad. I was surprised how many airlines service Port of Spain (POS) Piarco International Airport. During my arrival and departure on JetBlue, I noticed planes and signage belonging to WestJet, Air Canada, American Airlines, British Airways, and United. Though Trinidad is not a traditional tourist destination, it is one of the wealthiest islands in the Caribbean due to oil and gas. The V.I.P. 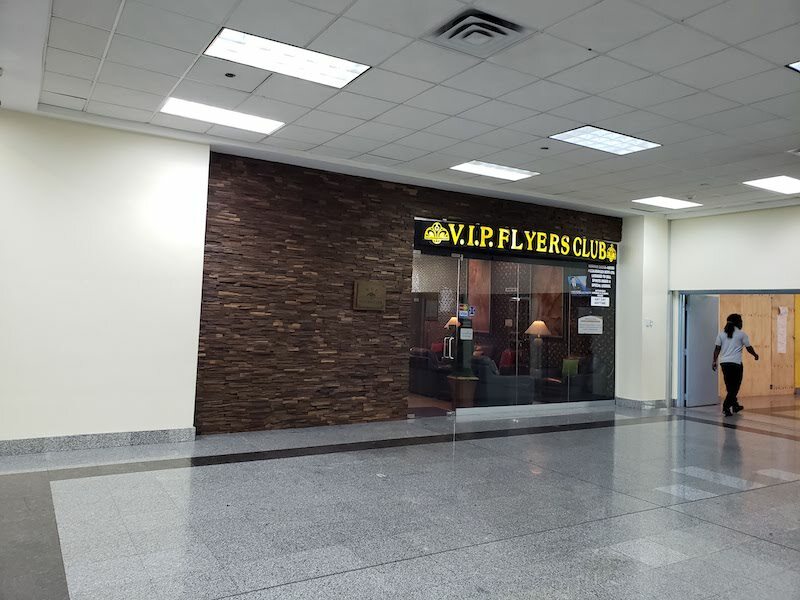 Flyers’ Club is located just past the security check point on the right. Only those traveling internationally have access to this area of the airport. 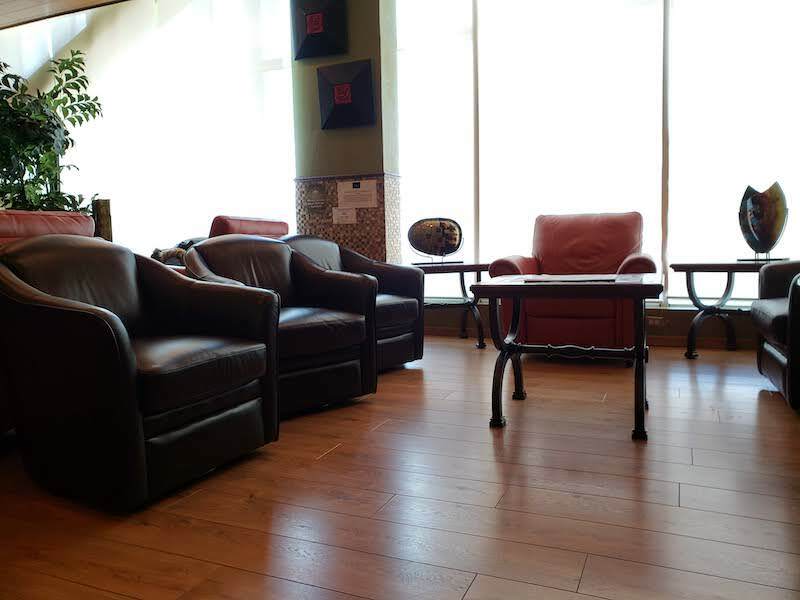 Those with Priority Pass membership are able to utilize this lounge. The two lounge agents during my stay were extremely busy on their phones and seemed annoyed to have to check me in. Most Trinis I met during my visit were extremely friendly so I was surprised by the demeanor of the staff. There are two rooms to the lounge. The first room has the check in desk and a small food station. Most of the food is on plates covered in plastic wrap and consisted of small sandwiches. There is a refrigerator with beverages and self service liquor. The main room has seating and a couple of computers. There is wifi available but it took me a few tries of connecting and disconnecting before it allowed me to log on. A wall mounted TV randomly came on during my visit at full volume. So you would be able to catch up on CNN if so desired. This is not a lounge you would want to go out of your way to visit. 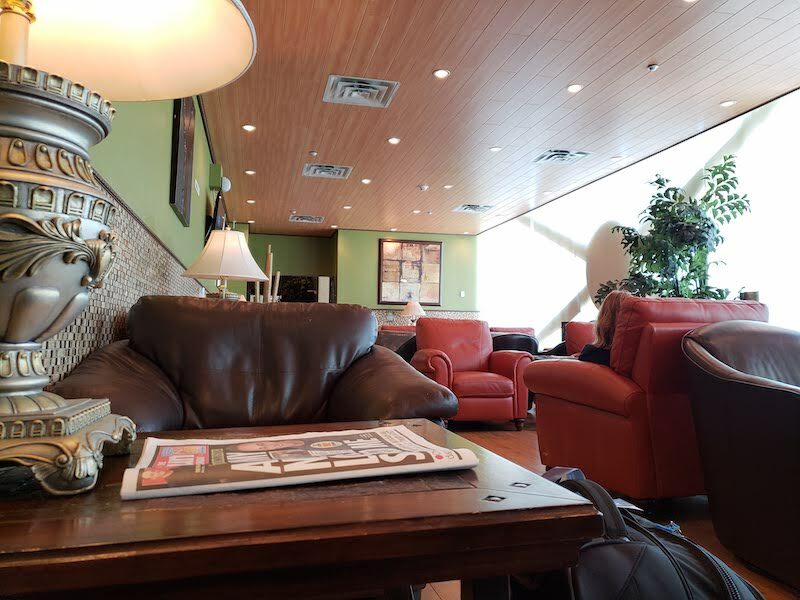 If it is free for you, it might be worth a visit for a comfortable chair and a beverage before your flight.